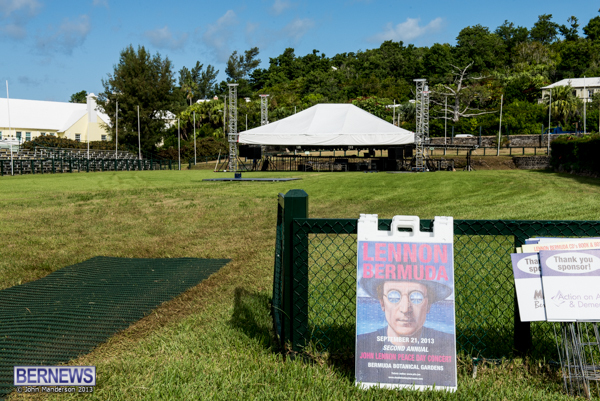 Today [Sep 18] the main ring of the Botanical Gardens continues to be transformed in preparation for the 2nd Annual John Lennon Peace Day Concert which will be held on Saturday [Sept 21] at 8pm in the Bermuda Botanical Gardens. Headlining the event is The Fab Faux, known for its all-star lineup of musicians led by Late Night with David Letterman’s Will Lee that produces some of the most accurate note-to-note covers of Beatles songs available today. In addition, music from John Lennon and Bob Marley will also be featured. 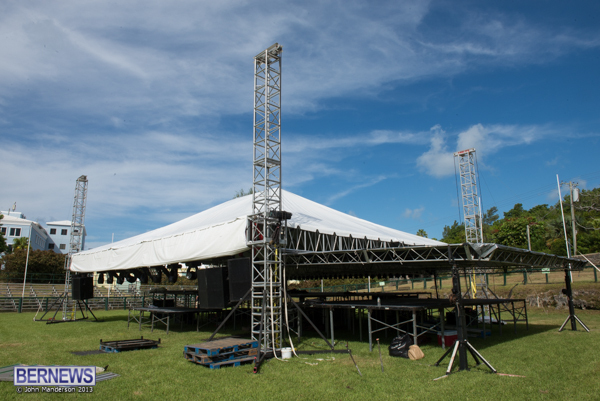 The Splash Band from Barbados will perform the event’s Bob Marley tribute. 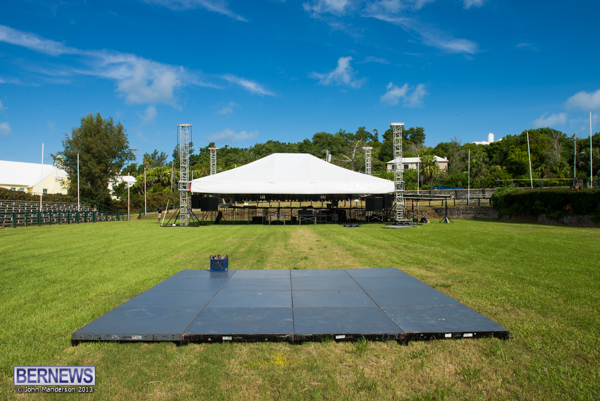 Other notable performers who will grace the stage include Rachel Brown, Joy T Barnum, McCartney K, K Gabrielle, Phil Morrison, the Bermuda School of Music and the Glass Onion Band. Celebrated English comedian and musician Jimmy Keys will MC the evening’s festivities. Tickets are still available from Premier Tickets Global website. Adult general admission tickets start at $50.00, and children’s tickets start at $25.00. VIP table options are also available that can include a special edition CD, dinner, drink tickets/open bar options, VIP parking and a custom commemorative lanyard. Coverage from last year’s event can be viewed here. I am sooo excited, lots of musicians, even someone who can play a song on a small guitar thingy. Please buy your ticket, please please.